And so, given such a visually unique point of departure, a lot of developers are riding the Instagram wave, hoping to drive the myriads of IG addicts to their platform. 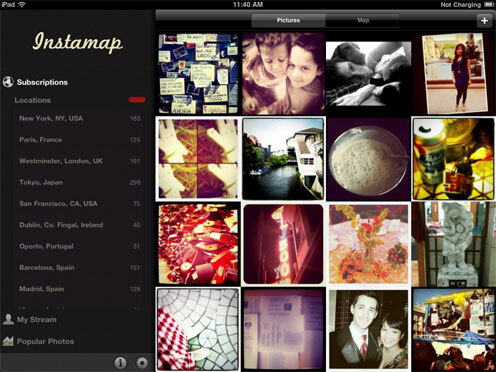 I’ve been looking at another offering that recently made its debut on the app store – Instamap for iPad. How does this new app measure up against others like Instagallery and Flipboard that I previously reviewed? Instamap does have something that the others, not even the native app, has – browsing by location (hence the name). You can create a location subscription for your chosen place e.g. “Vienna, Austria” and see all images taken there. It’s interesting to note that in the native and other apps you could follow the hashtag #Vienna but then you don’t know if the image was really taken there (you have to trust the author’s tagging integrity) or if the the image wasn’t taken in, let’s say Vienna, Georgia. So this is indeed unique. Apart from that, the app has the many basic features, save the ability to post a pic to Instagram itself, something that can only be done via the native app for the time being. 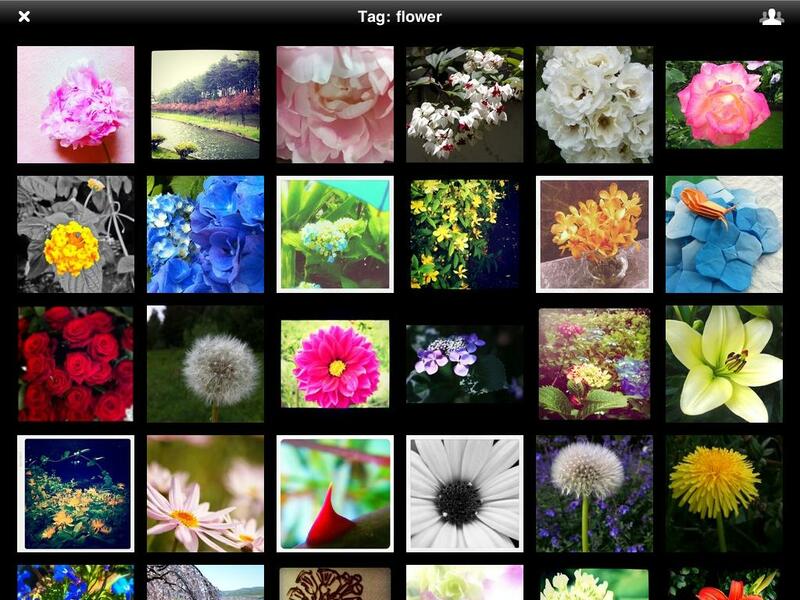 You can store favourite tags, view your stream, popular photos, browse, like or comment on images. So how does it compare to Instagallery? The latter does a better job of image presentation in my view and has the ability to view many more photos, and look up people you follow, your followers, your likes, as well as the option to create custom sets. The photos themselves also look brighter in Instagallery. Here’s a side by side so you’ll know what I mean. So will I use it? At the moment I’d have to say “not very often”, unless I‘d like browse by geographic location. Frankly I do think it’s overpriced. For its current features, I think the right price would be $0.99. Verdict: a good first offering but lacking in any true additional special features that would compel me to use it regularly. 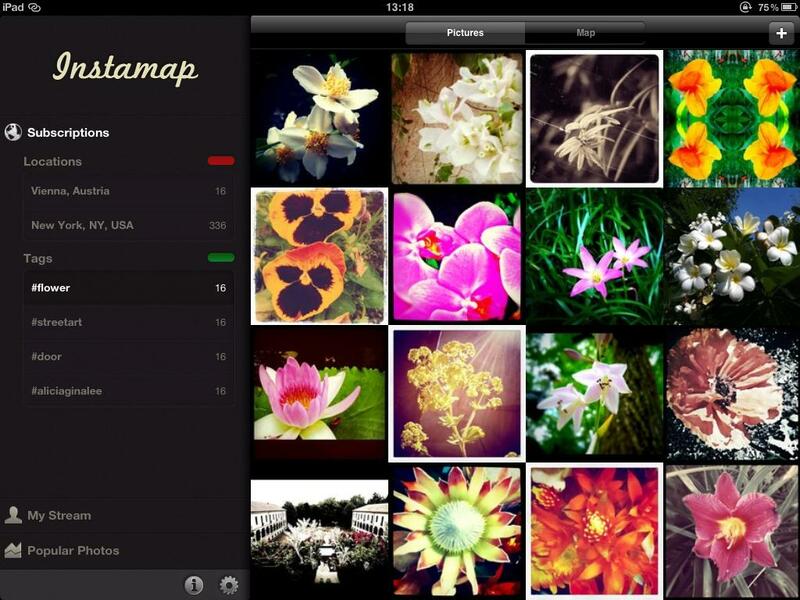 Instamap is available for $1.99 on the App Store (iTunes link). Instamap was independently purchased by the post author in the App Store. For further information regarding our site’s review policies, please see the “About” page.